Baby socks are so cute, and they’re actually a great way to learn the techniques you need for bigger socks on a small scale. 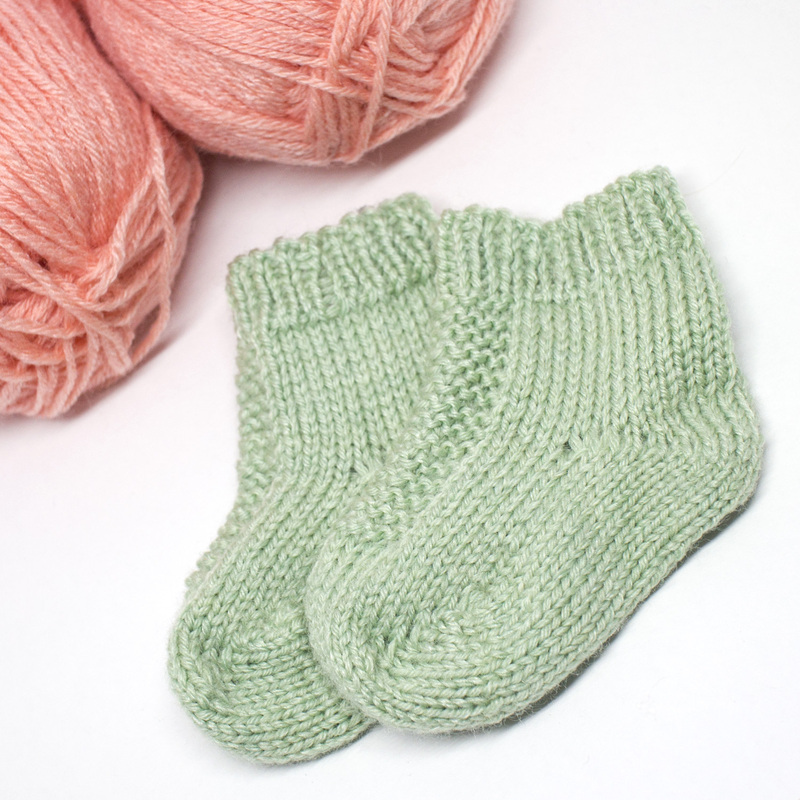 These cuties were knit by the blogger at Mohu Mohu, and they are from a pattern by Jennifer Hoel. The little Garter Stitch section on the top is super cute! These are great to knit a bunch of and have on hand for those times when you need a baby gift right away. It happens. These little socks are adorable! Definitely adding them to my file of baby things for when I’m looking for cute baby gift ideas to knit. Thanks for posting and sharing!